Shake it up, baby! 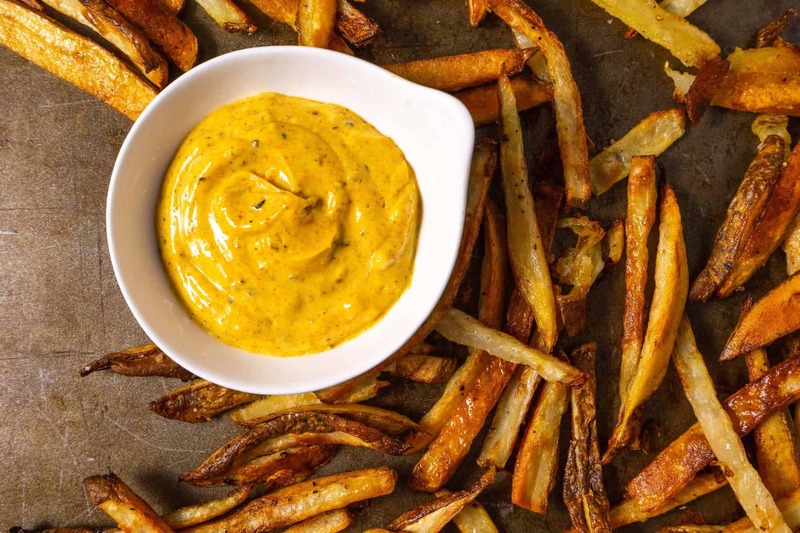 Here’s the cold hard truth—if you have a batch of this Curry Aioli ready in the back of your fridge, you’ll never face another boring meal ever again. I’m a big fan of condiments. Easy Oven Fries are fabulous, of course, but they’re nothing without the dippers. Same goes for any burger (veggie or otherwise), a chicken sandwich or veggie wrap. I first came across Curry Aioli at a crepe restaurant in Saratoga Springs that is really known for their fries (and their Moroccan Mint Iced Tea if you ask me—but that’s a story for another day). Some people go for the Nutella crepes, I go for the fries and dipping sauces. They make aiolis from scratch in every flavor imaginable from classic garlic to horseradish to barbeque. They’re all amazing, but the curry aioli is where it’s at. Since that day, I’ve never been able to say no to menu item that includes a curry aioli, and I finally tried my hand at making my own version. What had I been waiting for?! 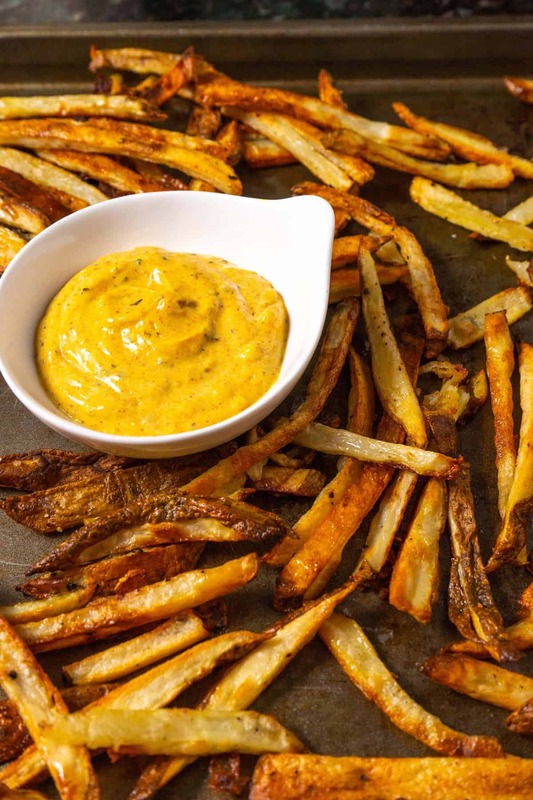 This brilliantly simple Curry Aioli is based on my Easy Garlic Aioli recipe, but with a quick and easy swap of some curry powder and an extra dose of lemon juice to make it pop! Just look at that color—double the recipe to make sure you have leftovers for the week to come! 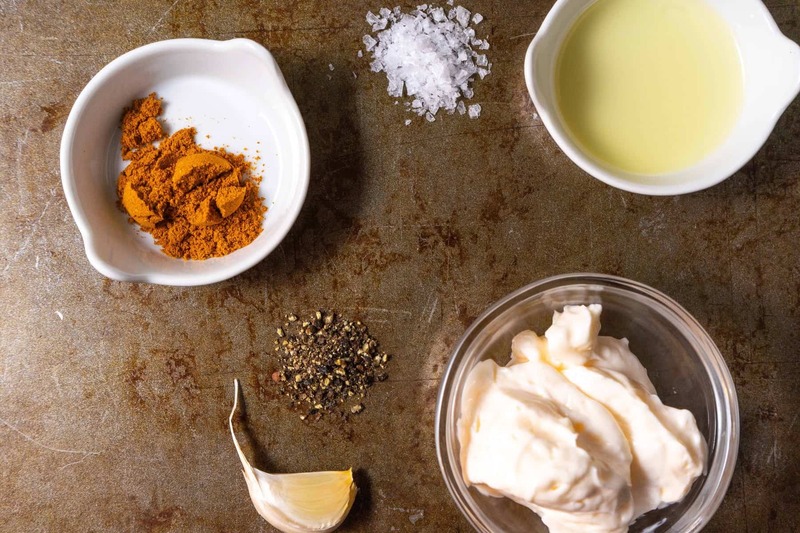 In a small bowl, mix together mayo, garlic, lemon juice, curry powder, salt and pepper. Delish! Can’t wait to try this!